Availability & pricing Aired on BBC TV as listed. Expected to appear on BlueRay/DVD in the future. This week sees the start of the BBC’s Battle of Britain season, marking the 70th anniversary of this pivotal air battle. As part of the celebration, a number of shows will appear on BBC One, BBC Two and BBC Four. 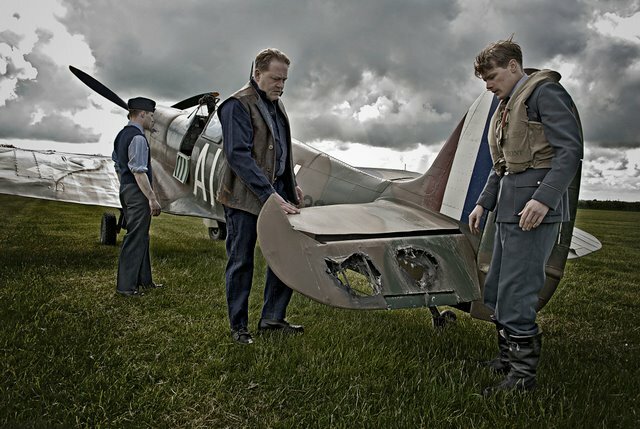 Leading the season is First Light, an 80-minute drama-documentary that tells the extraordinary story of Geoffrey Wellum, one of the battle’s youngest Spitfire pilots. Produced specifically for the 70th anniversary of the Battle, First Light is the adaptation of Wellum’s acclaimed book under the same title, which first appeared in 2002. Geoffrey Wellum was just 18 when he was thrown into combat as a fighter pilot just before the Battle of Britain. Now seventy years on and aged 89, he is still haunted by the conflict that took away so many others of his generation. First Light is based on Geoffrey’s personal memoirs, revisiting the combat career and emotions of a boy who went to war, and who came back a broken man. 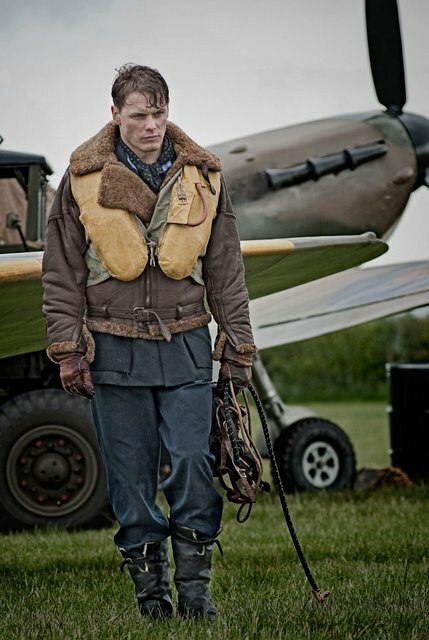 In May 1940, Geoffrey ‘Boy’ Wellum (played in the film by Sam Heughan), driven by his love of flight and a desire to serve with the Royal Air Force, joined No.92 Squadron. At the time he was barely out of school and had just a few hours of flight training. He has never seen a Spitfire close up, let alone flown one. Like with many newbie pilots at these desperate times, no one had time to teach George how to become proficient as a fighter pilot. The squadron was fighting for survival and he had to find his own ways to kill – or be killed. As Wellum plunged into combat, he discovered that the brutal reality of war and the feelings of despair were overwhelming him. As the death toll among the pilots rose, Boy withdrew into himself, even pushing away those who cared for him, including his girlfriend Grace (Tuppence Middleton). that if he continues to fly he will face certain death. 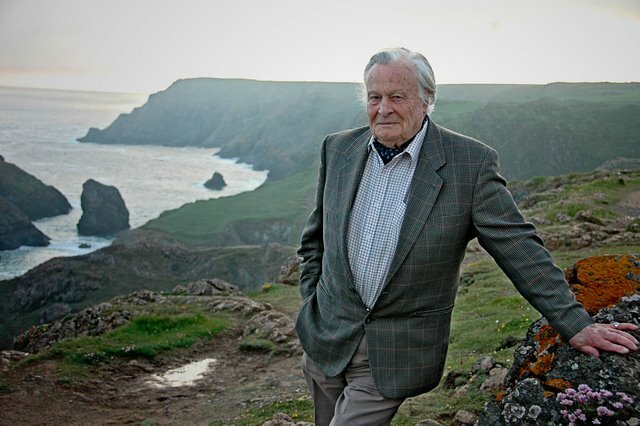 First Light wraps the story through a mixture of Geoffrey Wellum’s first person testimony, atmospheric (and well done!) drama scenes, real-time Spitfire flying sequences, and CGI (computer graphics). It’s an ambitious production, cutting well above the standard wartime documentaries that we all got accustomed to see on the TV. This film is not only faithful to Wellum’s deeply moving story; it is also a convincing attempt to put the viewer right there. I watched this subtle,eerily calm film last night and was overwhelmed by the sensitivity and respect for the integrity of Geffrey Whelums experiences.As a postwar baby boomer I of course knew of the ‘brave,dashing plucky RAF pilots’,Churchills famous speech, etc,have seen countless films recreating the shocking surreal chaos of their daily routines,yet this drama had a massive effect on me. There was no jingoism or machismo, it was somehow pure and cleanly exposed, the promised beauty of ‘flight’ itself, of youth decaying in front of our eyes as we watched.The delicate body language of the actors, the understated writing has left a lasting impression. I understood how much we really do owe to those young men.I also thought about how the world continues to repeat itself,… although now we recognise signs of trauma/distress earlier.My own grandfather never got over flying/crashing in the first world war and eventually committed suicide in 1920. I thought of him too. Thankyou all involved. A shame, however, that many of the flying sequences were dependent upon footage from ‘The Battle of Britain’ (the Beeb did their usual cutting into the credits, so it was not possible to see if the footage was credited). Kingcombe’s spitfire crashing on the beach was a featured element from the ‘battle in the air’ segment of the earlier film. I expect it’s too difficult and expensive to film multiple aircraft sequences now. The editing was quite creative though. The main narrative however was beautifully handled and had the stamp of authenticity about it, especially since Wellum himself was able to comment so lucidly and unsentimentally.